Easy and flavorful side dish! Heat olive oil in a large skillet; add garlic and cook one minute until fragrant (do not let garlic burn). Add Margaret Holmes Seasoned Green Beans and diced tomatoes; stir to incorporate. Simmer on low heat for 10 minutes until heated through then transfer to a warmed serving dish. Place garlic and oil in a microwave-safe two-quart casserole dish, cover and microwave on high for 2 minutes. 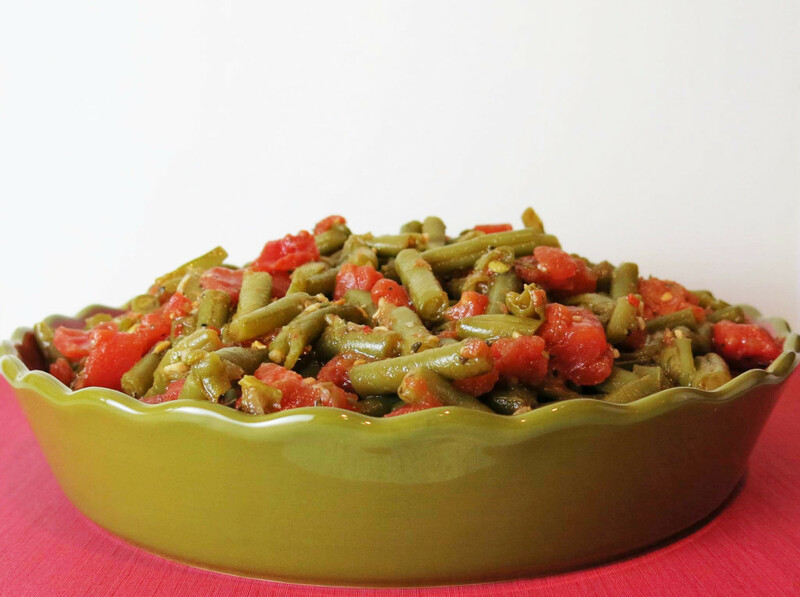 Carefully remove hot casserole dish from the microwave and add Margaret Holmes Green Beans and diced tomatoes. Mix well. Cover, return to the microwave and cook for 3 to 5 minutes on high. Carefully remove hot casserole dish from the microwave, let sit for 2 minutes, and serve.